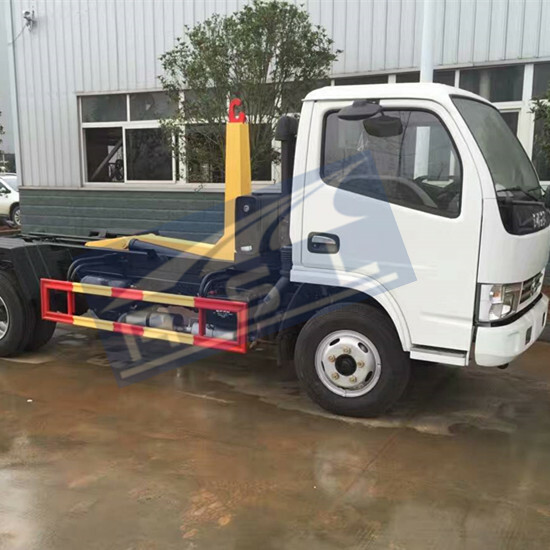 Hydraulic oil is transferred to two-position three-way conversion valve in leg valve group by gear pump, and then reaches each leg cylinder through leg conversion valve group. 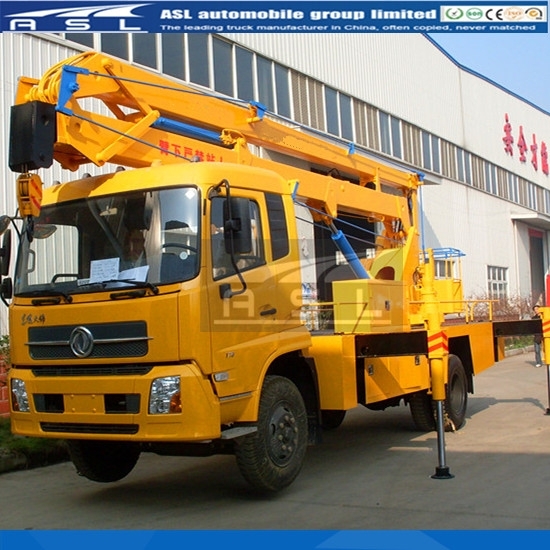 After vehicle is at a horizontal level, two-position three-way conversion valve converse, leg valve stops working, hydraulic oil reached multichannel conversion valve with two-position and three-way on turntable bearing. 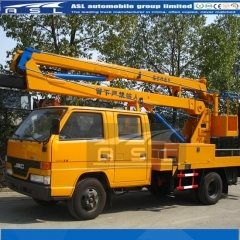 When two-position three-way valve is pointed downward, revolving movement of arms and rotating floor can be operated on revolving dial. 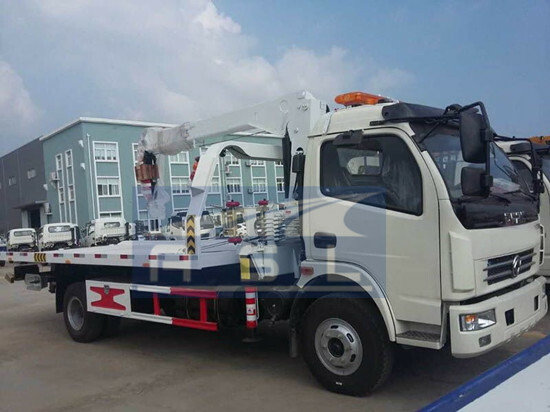 When two-position three-way valve on Kingrun 22m Truck Mounted Work Platforms is pointed upward, operation on rotating floor is shut off, hydraulic oil flows to multi-way valve group on bucket, so the operator can control revolving movement of arms and rotating floor in bucket. 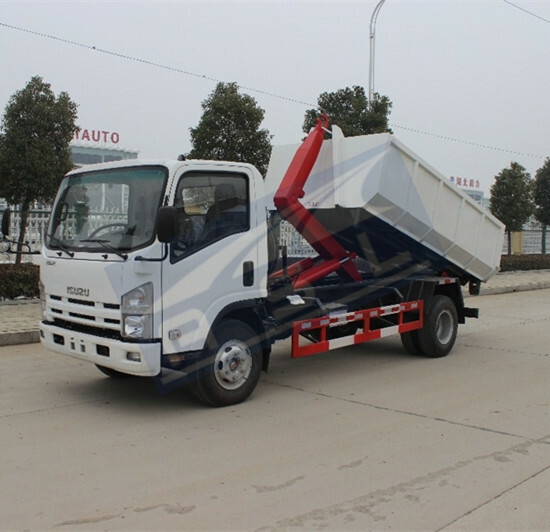 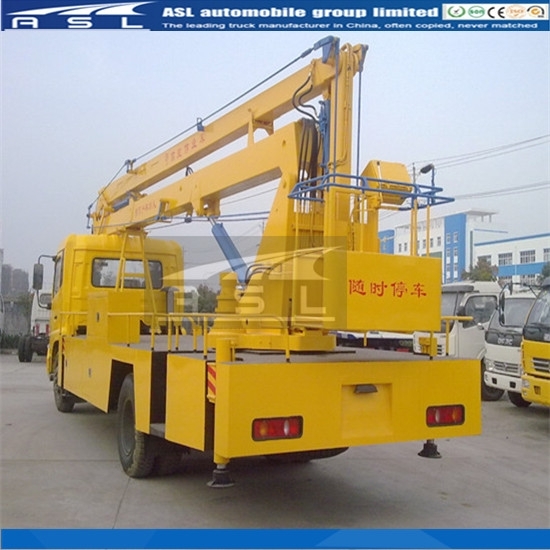 (8) The hydraulic elements shall be kept clean and reduced to dismounting to the greatest extend in case of damaging elements or mixing dirty. 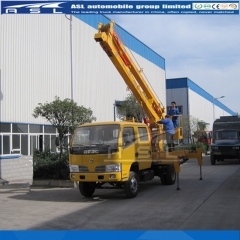 When 22m RHD Articulating Aerial Work Platforms dismounting is necessary, it must be known of its construction. 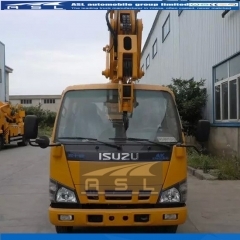 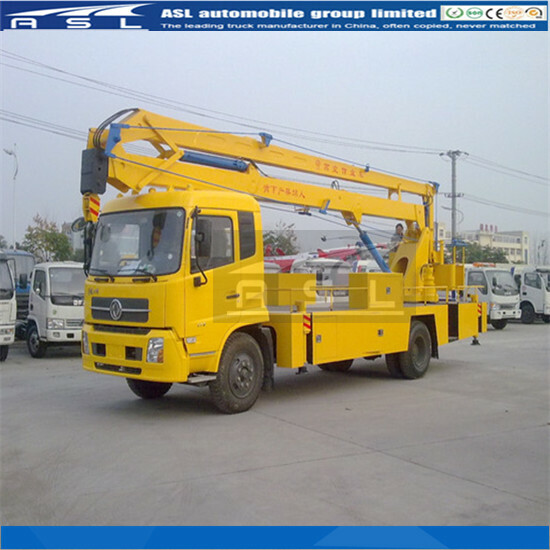 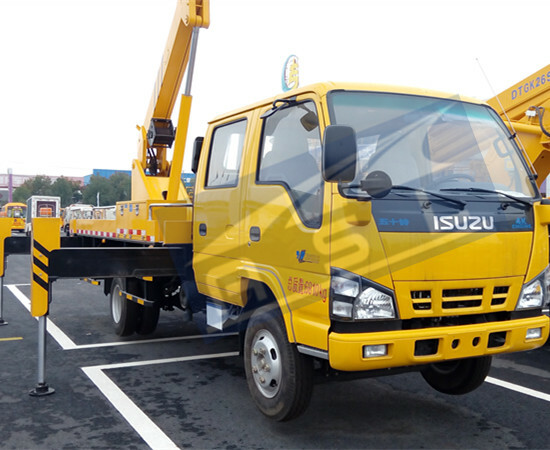 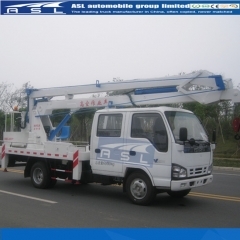 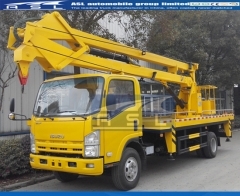 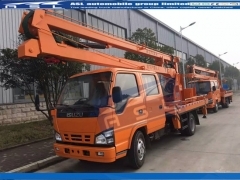 F: Supplementary specification: The lifting equipment of this overhead 22m LHD Hydraulic Articulated Working Platform which can lift one tonnage load is operated easily.